ciclo's Polo. 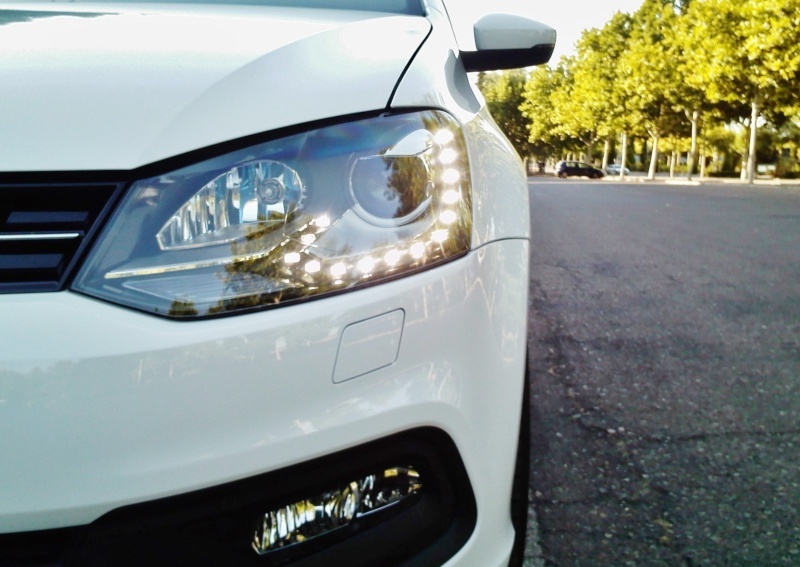 R-line 1.2 TSI 90hp 119gr. Re: ciclo's Polo. R-line 1.2 TSI 90hp 119gr. This engine has a very interesting/efficient cooling system. Yup! EA211 engines. Same as the BlueGT and all VW 1.0->1.5 TSI engines from 2014 up. Ok, thanks for the info ORiOn. I have read very good opinions regarding this engine (for the 110hp version), I hope that my wife enjoys it with total security. Thank you very much Slavik. But I think it's not exactly this 1.0 TSI. Hello, do you know if 5G0880201L and 5G0880201AC are the same? can't find AC on realoem.me. I also checked test-09.clb and it does not work either. The times are not correct because I deleted the label before capturing the image and I re-pasted it in order to show here in the forum the location of the label when I did the check. Sorry. The autoscan did not read the User folder in either of the two checks. The LABELS/USER folder is intended for "experimental" label files. in the main LABELS folder. I can confirm that all definitions added in the long coding helper are correct, also the adaptation channels. Note: In the firegrafik thread -Russian forum- there are many more definitions for more adaptation channels, which are also completely correct. Byte29 Bit6 enabled, operates the MFSW buttons on the right side of steering wheel when the LIN dedicated to the MFSW is wired in the terminal T73b/36, this condition is mandatory when the MFSW buttons on the left side are dedicated to the CCS/ACC, this in turn forces to have Byte17 Bit2 enabled for the CCS/ACC function. 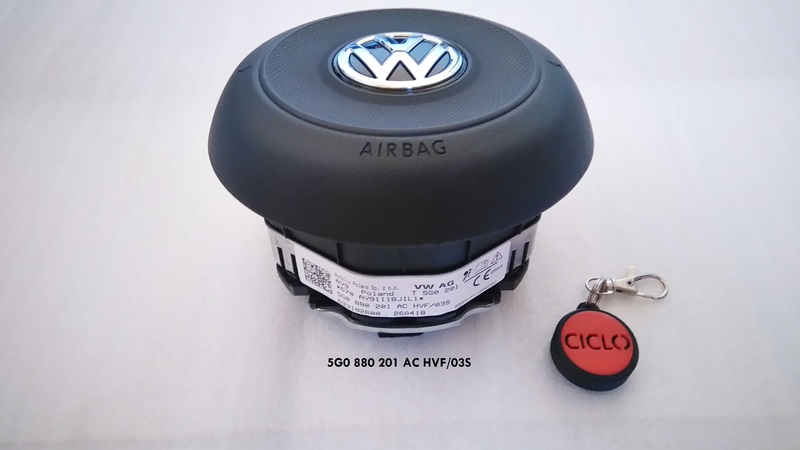 For vehicles (PQ25 BCM 7E0) that comply with Euro6 (2015 ->), and install CCS/ACC in the MFSW. The LIN dedicated to the MFSW (with CCS in the stalk, i.e. without CCS buttons in the MFSW) is established in terminal/pin T73b/17. 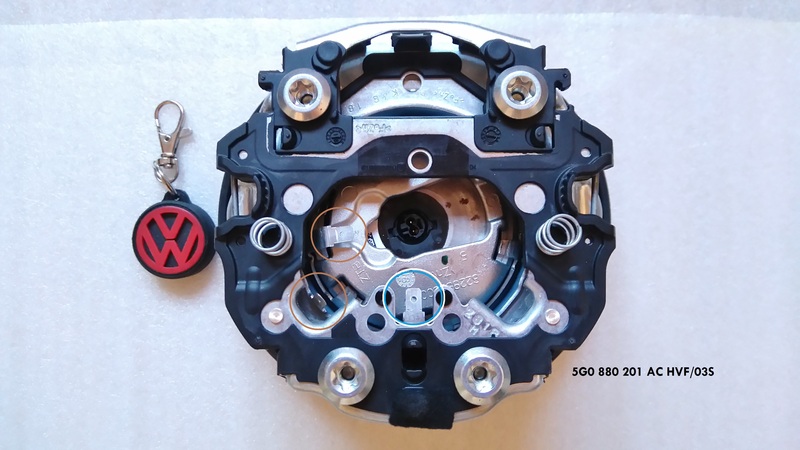 When someone ask me if the CCS/ACC MFSW buttons can be installed in a VW vehicle of the PQ25 platform ( "in OEM way" ), my answer is that the engine unit and the brake unit must have the right software (+ BCM, MFSW buttons, wires, and radar if ACC). - I have already studied ALL the diagrams/body repairs/maintenance of Golf MK 7.5 2018/2019... and previous ones. 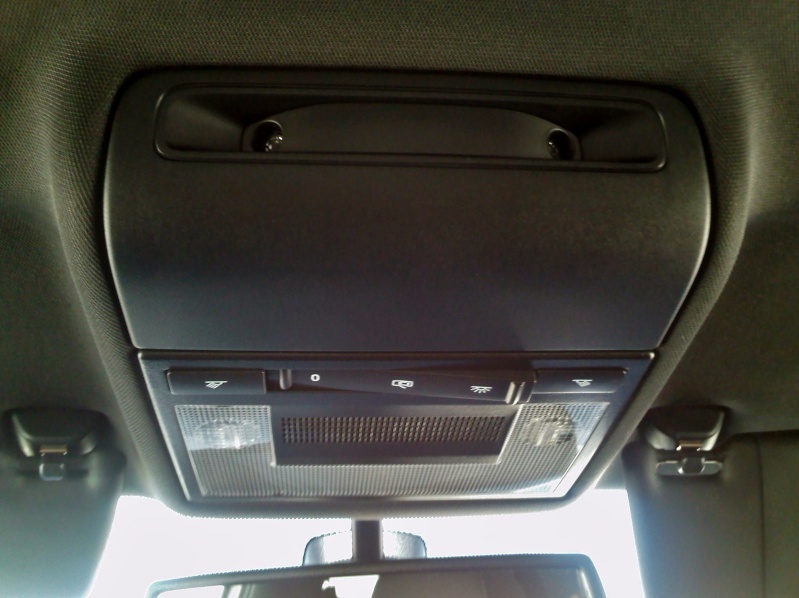 - VW has committed a big production failure with a unit installed in my wife's Golf. In a couple of weeks I will know exactly the reason ... it is the time in which the correct part has to arrive. I preferred not to process it under the official guarantee, Knowledge is more important to me. ...my last video of my 6R was blocked in all the countries, why?, the music/sound -highway to hell- comes from my car, not from a copy or something similar. As it says in the video, it was recorded with the smartphone microphone. Yes, the whole VW amplified audio system that I installed in my 6R sounds fabulously (God level). 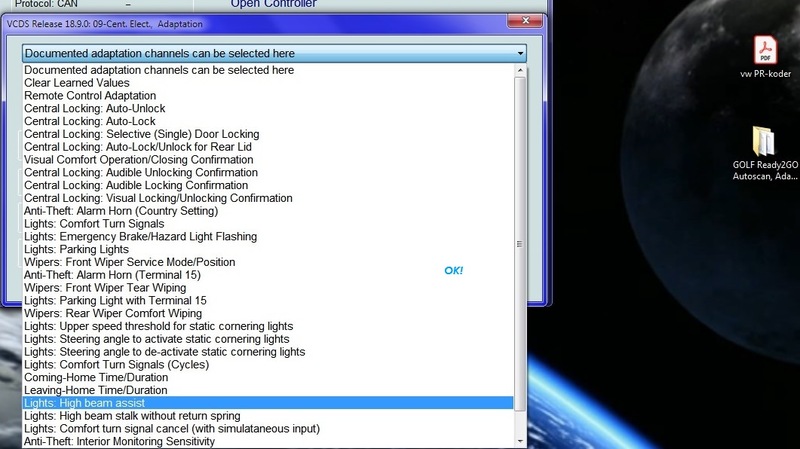 Hi ciclo, are the buttons of your dome light illuminated or it's an impression? Drives: Mk 2 Hatchback and now I have an Up! The three pot TSI 90 is a truly amazing engine. My little Up! returned over 70 MPG over hilly country yesterday .I did the calculations and I think it is a good 15 Horsepower over the quoted output and that is at the wheels! Certainly I won't be tuning it soon, despite several 500 mile runs undertaken so far. Thanks to ciclo, I drove it for 200 miles without the use of my feet across France last Saturday. I am really enjoying the cruise control. The trouble is, the success of this has set me tinkering and now I want to fit the Optical parking and a camera. All the bits are here, except one and I am itching to get started before the cold nights and gloomy weather on my part of the planet make me think of staying in the warm. 1S0 919 475 A. I have worked out how to patch seamlessly into the powertrain CANBUS at the BCM by making a custom connector because I don't like cutting into wires if it can be avoided and I have, thanks to iichel acquired the sixteen way connector and it is wired up to the power, squawker and CANBUS. A rear bumper loom arrived but not the loom from it to the control box. In my ignorance, I didn't know I'd need one! I'm going to be experimental with the camera. I bought one with a built in gyro to control the lines. They look a bit of an afterthought though so I have bought a tiny and powerful servo as well and am designing a retract mechanism so it can disappear into the bumper. Woman Belong Me doesn't understand why I should buy a new car and pull it to pieces but I have been doing it for 45 years now so it has become part of my DNA. Hey ciclo, have you ever installed the OEM LED footwell lights from the 6C (5G0 947 409) instead of the standard light units for filament bulbs that were fitted on the 6R (7L0 947 415)? It's an impression, I think that there is no dome lights set of this model (6R, etc - used in several VW models -) with illuminated buttons. Soon I will install them in my wife's Golf (exactly that part number). I'll tell you something about it. Under construction, wait a moment please...thanks.